The fantastic wedding of Kate & Chris at St Michael's Church, Ockley in Surrey. 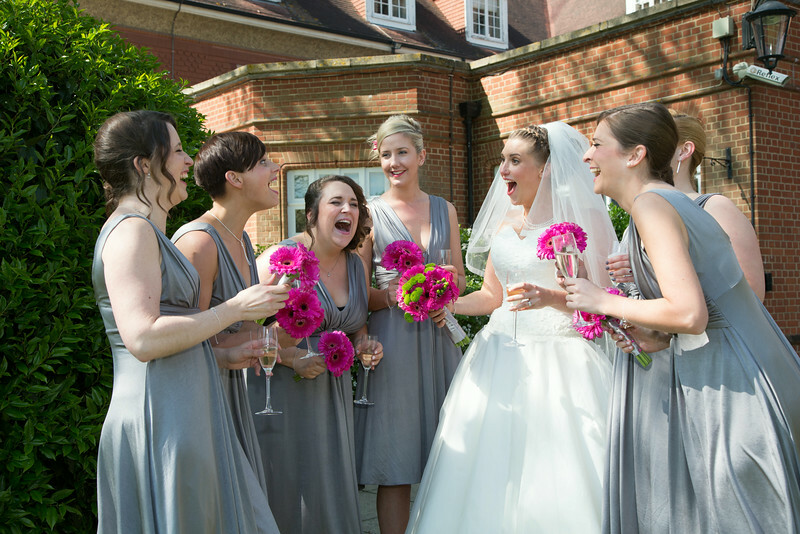 A Reception followed at Woodlands Park Hotel, near Cobham & Leatherhead. May 2014. I have known Kate's father, Mr Howarth Winston Lee for nearly 30 years, we worked for the same company at the time. - known to his friends as "Pip." One of the finest raconteurs you will ever hear. A naturally gifted funny guy. If you are lucky enough to spend an evening in the company of Pip, you will undoubtedly have a great time. The sun shone, family & friends had a brilliant time, good company, good food, superb speeches, radiant bride and a very happy groom, made for a wonderful day.